Imagine it, and allow JDavid to make it into a beautiful reality. 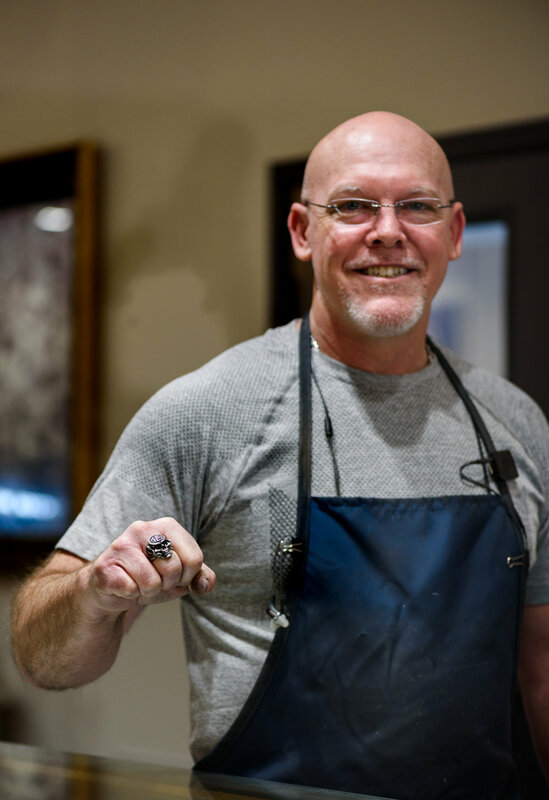 Our in-house master jeweler and in-house metal smith was a protege of the late Gregory "Rocky" Hard for over 20 years. J David (aka Jeff Spencer) began his career with Rock Hard Jewelers with natural born talent and basic skills in design. He credits the refining of his art and craft to the relationship he forged with Rocky, and the challenges Rocky provided as an extraordinary design visionary. Jeff has the distinct ability to make the vision work, resulting in stunning designs. 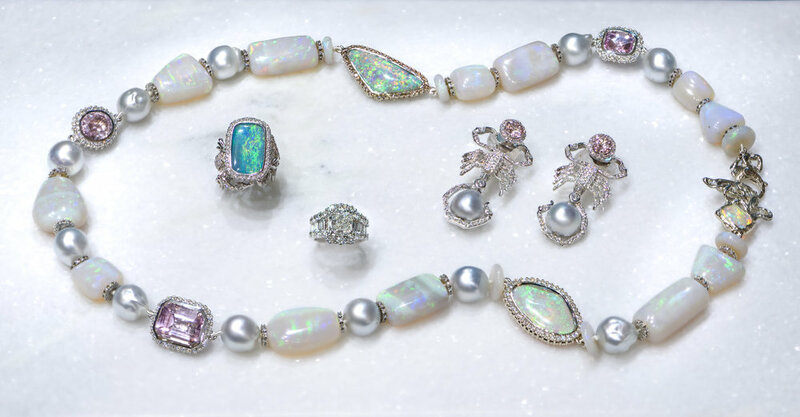 In perfecting Rock Hard Designs with meticulous detail and exquisite raw gems and metals, Spencer has also developed a legacy, and a world renown reputation, for fine art in jewelry design. Today, the quality of his finished pieces are the foundation that set the standard for our numerous awards, and the expectations our clients have come to know, with Rock Hard Designs. 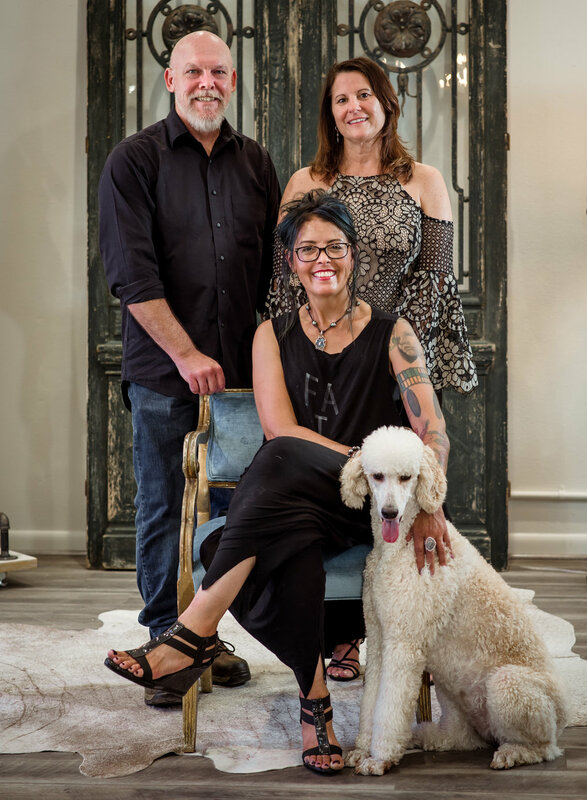 It is amazing to travel the world and have our jewelry known for the design, the quality of the piece, the beauty, and the story it tells ...this is what makes Rock Hard Designs House - and our jeweler - J David a true master of his art!